GOA Has eight charitable children homes. 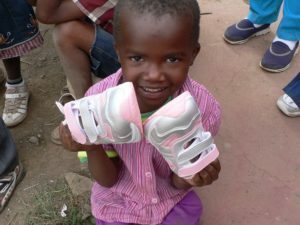 Children are admitted into the homes from the streets of the Kenyan cities, orphans and those from very less fortunate families. GOA also admits those children at High risk in the society and gives them all the basic needs from the homes. One of our home is dedicated to taking care of those children lining with HIV Aids. In the wake of the trends in family instability and coupled with the rising levels of poverty, there are many children who are left without families to feel part of. In view of this worrying trends, GOA finds such children and attaches them to families in which they are accepted and helped to grow and feel as part of other people. 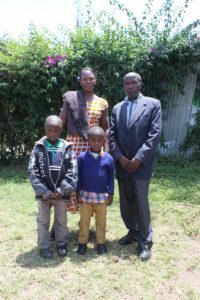 The children are provided for their basic needs by their fostering families. GOA enteredTurkana region in the early 2000s. The area then had high levels of illiteracy with no children going to school. There were no schools in the area for the children to attend. The children stayed at home fetching water from Lake Turkana for their family use. GOA has since stablished two schools in the region, GOA Maggies School and GOA Education Centre Nabwelpus. 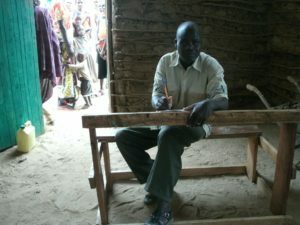 These schools currently provide education to over 1500 Turkana children. GOA entered Turkana region in the early 2000s. The area then had high levels of illiteracy with no children going to school. There were no schools in the area for the children to attend. The children stayed at home fetching water from Lake Turkana for their family use. GOA has since stablished two schools in the region, GOA Maggies School and GOA Education Centre Nabwelpus. 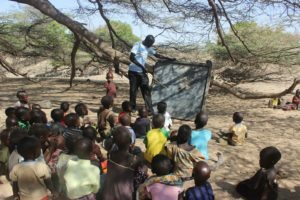 These schools currently provide education to over 1500 Turkana children.